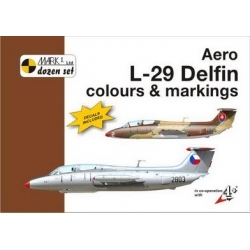 Aero L-29 Delfin colours and markings Michal Ovčáčík, Karel Susa ISBN 978-80-86637-22-8 Soft cover, format A4, 28 pages. 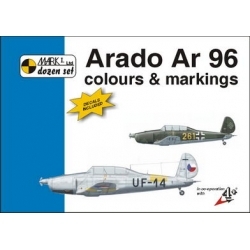 Arado Ar 96 colours and markings Michal Ovčáčík, Karel Susa ISBN 978-80-86637-09-9 Soft cover, format A4, 28 pages. Bücker Bü 131 colours and markings Michal Ovčáčík, Karel Susa ISBN 978-80-86637-12-9 Soft Cover, format A4, 28 pages. 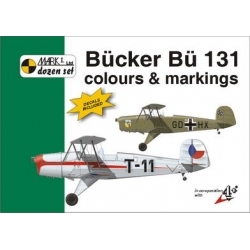 Bücker Bü 131 colours and markings Michal Ovčáčík, Karel Susa ISBN 978-80-86637-11-2 Soft Cover, format A4, 28 pages. 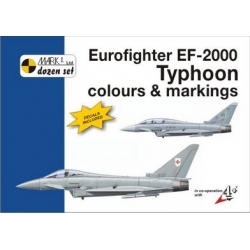 Eurofighter EF-2000 Typhoon colours and markings Michal Ovčáčík, Karel Susa ISBN 978-80-86637-17-4 Soft cover, format A4, 28 pages. 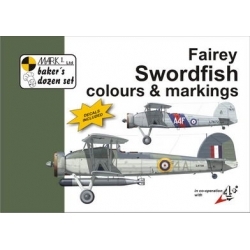 Fairey Swordfish colours and markings Michal Ovčáčík, Karel Susa ISBN 978-80-86637-40-2 Soft cover, format A4, 28 pages. 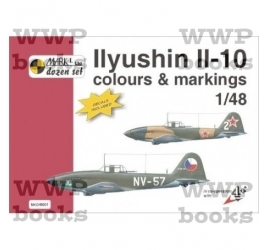 Fieseler Fi 156 colours and markings Michal Ovčáčík, Karel Susa ISBN 978-80-86637-14-3 Soft cover, format A4, 28 pages. 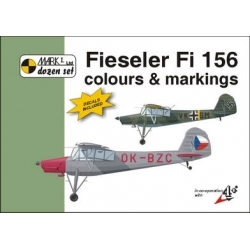 Fieseler Fi 156 colours and markings Michal Ovčáčík, Karel Susa ISBN 978-80-86637-13-6 Soft cover, format A4, 28 pages. 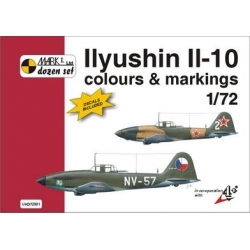 Ilyushin Il-10 colours and markings Michal Ovčáčík, Karel Susa ISBN 978-80-86637-05-1 Soft cover, format A4, 28 pages. 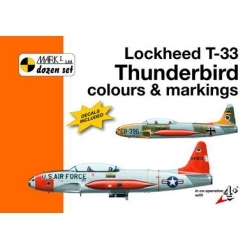 Lockheed T-33 Thunderbird colours and markings Michal Ovčáčík, Karel Susa ISBN 978-80-86637-26-6 Soft cover, format A4, 28 pages. Lockheed T-33 Thunderbird colours and markings Michal Ovčáčík, Karel Susa ISBN 978-80-86637-25-9 Soft cover, format A4, 28 pages. 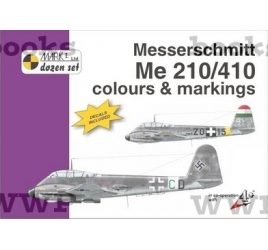 Messerschmitt Me 210/410 colours and markings Michal Ovčáčík, Karel Susa ISBN 978-80-86637-31-0 Soft cover, format A4, 28 pages. Messerschmitt Me 210/410 colours and markings Michal Ovčáčík, Karel Susa ISBN 978-80-86637-30-3 Soft cover, format A4, 28 pages. 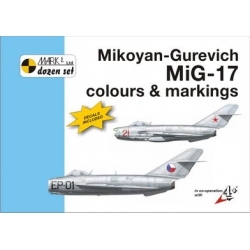 Mikoyan-Gurevich MiG-17 Fresco colours and markings Michal Ovčáčík, Karel Susa ISBN 978-80-86637-15-0 Soft cover, format A4, 28 pages.